This entry was posted on oktober 12, 2014 by HansHB. It was filed under Aktuelt, art, bilde, Bygninger, Camera Critters, Ein Stück Himmel, Foto, Fotoblogg, Fredda', Høst, Himmelsk, Landskap, Mandarin Orange Monday, MellowYellowMonday, Natur, Nikon, Nikon blog ambassador, Sky Watch Friday, SkyWatch and was tagged with AF-S Nikkor 70-200mm f/2.8G ED VRII, bilde, Coastal Steamer, D4, Ein stück himmel, Finnmarken, foto, fotografi, Fotosafari, fredda', fredda'n, høst, Helgeland, Himmelsk, Hurtigruten, Mandarin Orange Monday, Mom, naturfotosafari, nikkor, Nikon, Nikon D4, Norge, Norway, Sky Watch Friday, Sunset, The cabin in sunset, The Coastal Steamer. Meget, meget vakkert, og så elegant gjort med huset (og vinduet!) akkurat der det bør være. Og fra et nydelig område. I do enjoy that Norwegian glow! Great capture. perfect and very impressing color, great work! A stunning shot – reminding us of the vast wonder of the universe. En fantastisk himmel og en vakker silhouette …. utrolig bra fanget, Hans! Yes, delicious oranges! Good work! 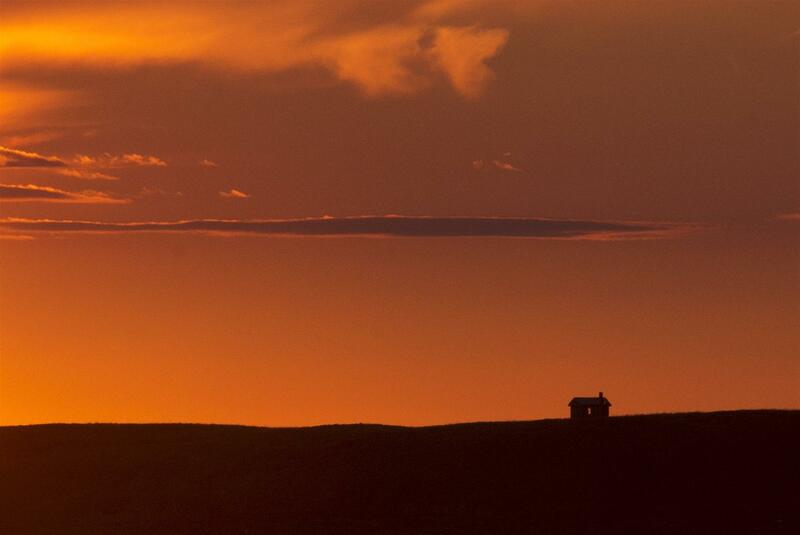 I love the contrast between the small cabin and the vast orange horizon. Blessings! Godt fanga i rette sekund! En fin solnedgang og et bilde som gir ro :)) liker det jeg ser! magnificent design, Hans. You’ve outdone yourself! Gorgeous orange sunset, lovely capture. Happy skywatching and have a great weekend! I do love your flaming skies, Hans, superb capture!! Thanks for sharing the beauty and the drama!! Have a great weekend! Beautiful colour and I like that lone silhouette! Awesome color, silhouette and sky. Wonderful composition and beautyful colours. Oh and Hans, your tree shot in the post below this…I don’t know if you noticed this, but the yellow leaves near the top right of the image [overlapping the thick branch] looks like a yellow flower blossom! Fantastic colors and a great photo. Så anderledes billedet er med farver! Og farverne er fine, så dette bliver nok min favorit af de to….. Your photography never ceases to amaze me. Love this fiery sky and the tiny cabin enveloped by it. Great picture. I really like the house. Hans, you take wonderful fotos! I’ll link you on my blogroll, I like your work! Thank you, Ioana. I like Your blog too! Amazing skys. Wondeful images on your blog. Thanks for taking us along. I will be back to see more. Happy travels and photography and thank you for stopping by my blog the other day.